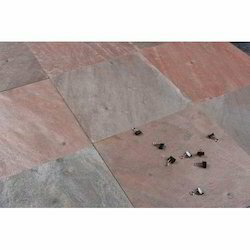 Our company is extremely involved in providing a comprehensive range of Flying Multicolor slatethat is used for landscaping, elevation and flooring. We are providing this slate in unlimited and everlasting colors and prints. 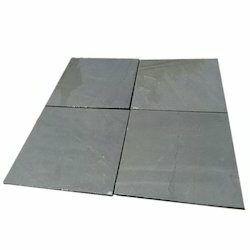 This slate is designed keeping in mind the latest market trends by using supreme quality raw materials at vendors' end. Our entire range is checked by experts on various parameters like finishing and quality. To add on, this slate is offered at cost-effective prices. Minimum order quantity: 400 sq.m. 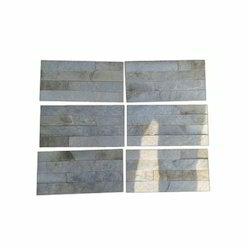 We are the leading exporter and supplier of Slate Tiles which are renowned for their wide applications due to their durability and beautiful appearance. All these tiles are processed by our professionals using high quality raw material and modern technology at vendors' end. These tiles are available in various size, shape and colors. Our valuable client can avail these tiles from us at affordable prices. Slate available in various sizes in Natural, honed, calibrated finish. Backed by technically advanced facilities at vendors ultra-modern manufacturing unit, we are able to offer Slate Stone. Our offered slate stone is demanded among customers owing to its modern look & tough nature. This slate stone is provided with various finishes & thickness options. The slate stone offered by us is checked on numerous provisions of quality for supplying flawless range. 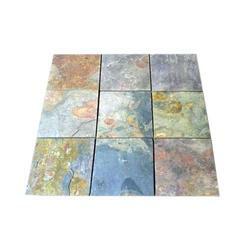 Being a prominent firm, we are engaged in offering an excellent spectrum of Multicolor Slate. This multicolor slate is processed using modern machines that ensures perfect cutting of this slate. Our offered multicolor slate is acknowledged for the color options and durability. 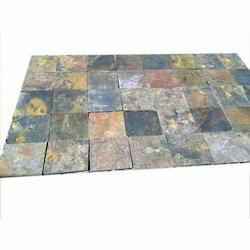 The given multicolor slate is available in numerous sizes as per the requirements of customers. Slate Stone from India is available in tiles, mosaics and wall panels. For more write or call.